Rollcage fabricators for over 20 years we strive to build the next better than the last, all tube cutting and bending is done in our workshop to keep costs competative. 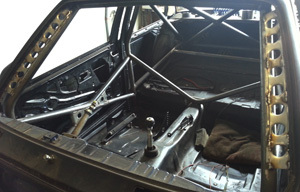 We can build to your specifications whether it being a full or part rollcage, welded or bolted in, we also make our own brackets for bolt in cages and these will be available to buy at our online store. Our steel suppliers stock specialised tube for next day delivery and the common grades we use are CDS, ROPT and T45, all a seamless FIA/MSA approved tube with a certificate of Conformity. We also do vehicle body preperation including seam welding on vehicles, this is particularly popular with rally cars as it makes the body of the car a lot more solid. We also notch the ends of the tube to make a more precise fit for tig and mig welding. All tube is bent in house with a Hilmor draw tube bender with correct radius formers for rollcage bends. 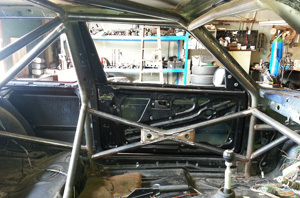 We have built cages for Stockcar, Circuit, Drifting, Road and even Film/Stunt cars. 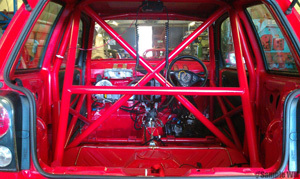 Please visit our Gallery page to the left for several rollcage projects completed. 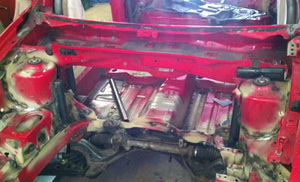 Also for roll cages and space frames please see our chassis page.